Italy is one of the most exciting places for tourists since there is a lot to see and a lot to do. But let’s put aside the mainstream tourist attraction for a moment such as Rome and Venice and explore another side of the country. 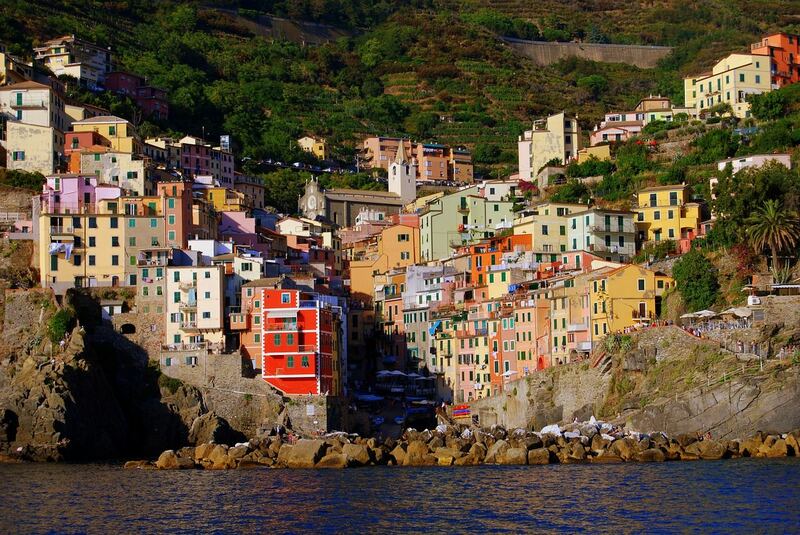 Cinque Terre, or “Five Lands” is located in the Italian Riviera and it consists of five villages. 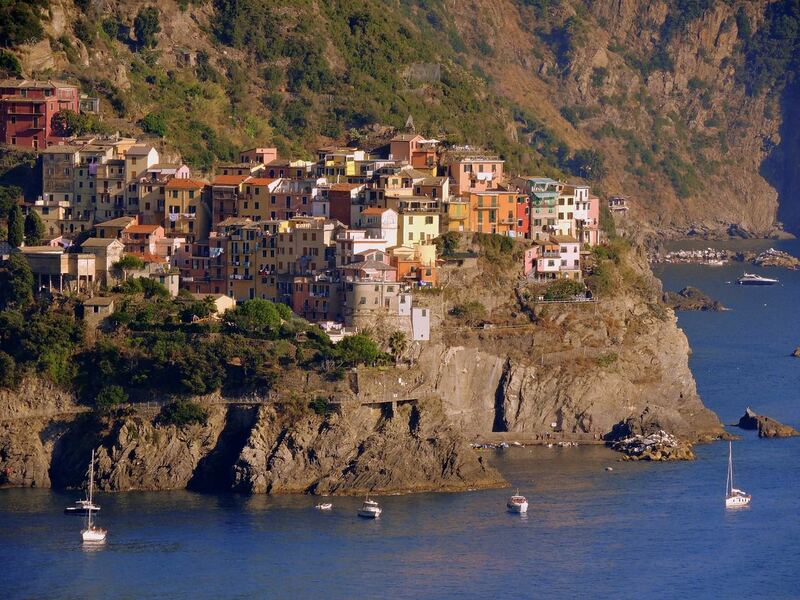 They are all a part of the Cinque Terre National Park, and are protected by UNESCO as a World Heritage Site. If you want a real taste of Italy and its rich culture and tradition, the villages of Cinque Terre are where you want to go next! But remember, you can only get over there by train, and remember to take your comfortable shoes since cars are not allowed in some of the best parts of these towns! 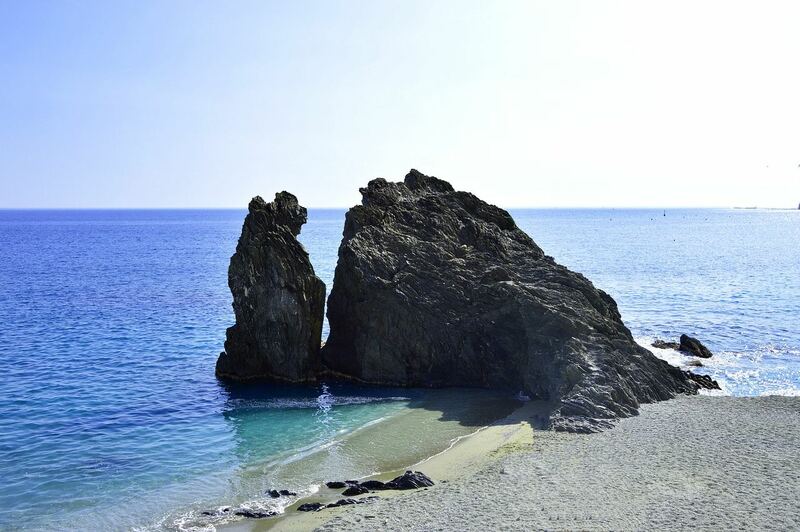 The small village of Monterosso al Mare is the place with the best beaches out of all five villages. A must-do thing in Monterosso al Mare is tasting; the village has incredible lemons and olives, and the white wine production is a thing this place is popular for. On the more sophisticated side, there are many high-class wine shops, hotels, restaurants and crafts shops. The village is divided into two parts: Old Town and New Town. They are connected by a tunnel, and going from one to the other part can be done either on foot or by a train. What you must see is the Church of San Francisco, where you can see a Van Dyck painting. The village of Corniglia is a colourful and peaceful place which is located on a top of a cliff. To get there, you need to climb exactly 382 steps, or you can hop on a bus if you are lucky enough since they are not always available. In Corniglia, you will get a chance to walk around the characteristic narrow streets and see wondrous ocean sights. What you must see while in Corniglia are the Genoese fortifications built back in the 16th century. Riomaggiore is located in the southern part of Cinque Terre complex. And in reality, there are so many things to see and do here. This village has a small beach which tourists love, and considering that the terrain is rocky, tourists also enjoy hiking the Vie dell’Amore to Manarola. You can enjoy the tasty local wine, get some souvenirs at the shops, or enjoy the local cuisine. A thing to see is the main historic place in the village – the Church of San Giovanni Battista, which is built on a hill. Manarola is a Cinque Terre village which is considered to be the oldest one of all. It is said that in Manarola are produced the best wines; so good that they were mentioned by the great Romans. Naturally, Manarola is a rocky place, making it a perfect choice for hikers. The narrow stone streets and the overlook on the Mediterranean enhance the entire experience of this mainly fishing village. 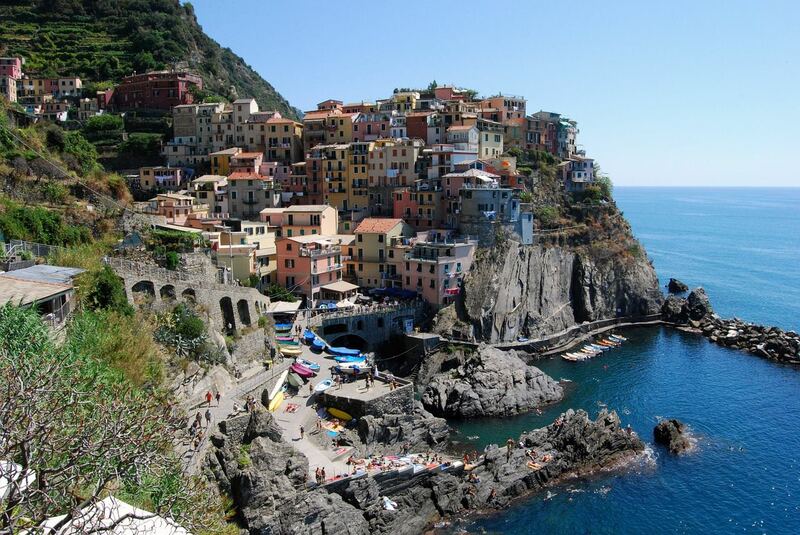 Manarola is the second smallest village out of the Cinque Terre villages, yet its beauties are breath-taking. The village of Vernazza is the home of the best harbour in the Cinque Terre. The typical architecture provides an incredible touch with history, and the overlook on the Mediterranean Sea only adds to the entire picture. In fact, Vernazza is probably one of the most picturesque, postcard-like villages in the world. Fishing is the main activity for the locals, and you can enjoy a tasty fish meal with a nice wine. You can only move on foot in this village, since cars are not allowed. 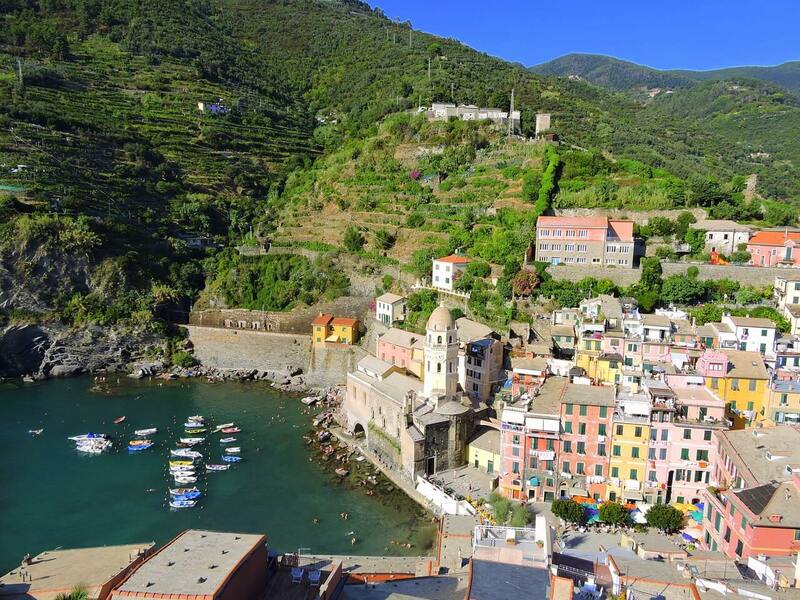 You can also go hiking from Vernazza to Monterosso al Mare – it will take you an hour and a half, but you will experience some wonderful scenery. Vernazza was flooded back in 2011, yet today, all that is left in the past and this village is once again at its best reputation.